Beck Advisory was appointed to represent five of the state’s premier neurological research organisations located within the new Sarich Neuroscience Research Institute facility at the Queen Elizabeth II (QEII) Medical Centre in Nedlands, WA. The five organisations include Curtin University’s Neuroscience Research Laboratory, the Ear Science Institute of Australia, the McCusker Alzheimer’s Research Foundation, the Neurofinity Surgical NeuroDiscovery Group and the Perron Institute (formally the Western Australian Neurosciences Research Institute). The organisations are housed over five levels in a 8,900m2 building. The state of the art design incorporates clinical facilities, medium-level physical containment laboratories for experiments and cryogenic archival storage behind a modern façade. 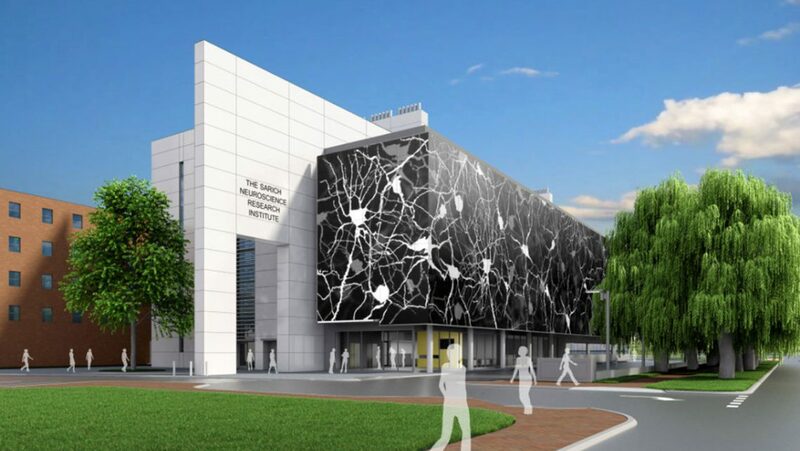 The $37.7m project heralds a new era for world-class neuroscience research in WA. The facility was officially opened in May of 2017, to find out more see the Business News article here.